Chennai super kings the former Indian Cricket team captain M.S. Dhoni are back into the IPL after serving a two-year ban. Dhoni returns to Chennai Super Kings, which make a comeback to the Indian premiere League (IPL) for 2018. 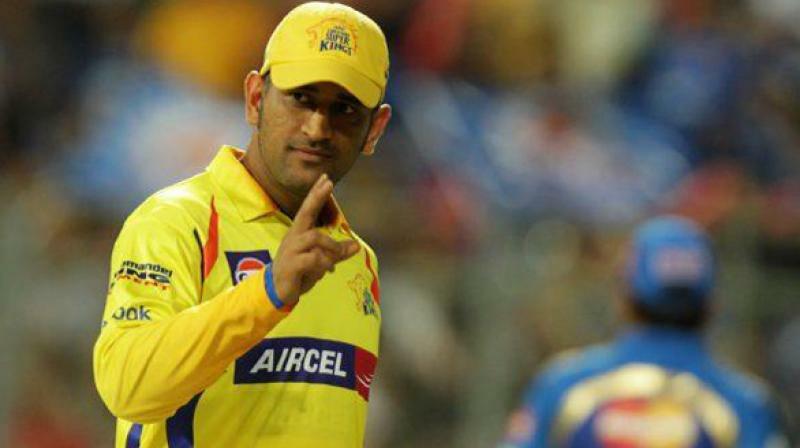 Chennai Super Kings announced names of players to be Retained on this season of IPL on last Thursday evening, while Chennai Super kings Retained Mahendra Singh Dhoni, Suresh Raina and Ravindra jadeja. while Indian Spinner Ravichandran Ashwin were not retained by the franchise. Dhoni The Captain Cool, Raina a six machine and Jadeja a All Rounder were well retained and Dwayne bravo were retained by (RTM) Right To Match. Chennai Super Kings with theirs Favourite Son Mahendra Singh Dhoni. there is no Doubt about the fact that Dhoni and their squad were amaze us by their flawless performance and sporting spirit toward the game. CSK lifted the IPL trophy twice in 2010 and 2011 in a row. and CSK enter the IPL Final for the 6th time out of eight years. and in additional they have also won the champions league Twenty-20 in 2010 and 2014, which is the best performance by any team. while retained players Suresh Raina was Chennai Super kings most leading run-scorer of the team a six machine with the highest sixes for the team 173 sixes in 157 innings between 2008-2017 and a highest run scorer in IPL 4540 Runs in 157 innings, Raina a run-Getter of Chennai Super Kings.